1 Bedroom Apartment To Rent in Chesterfield for £370 per Calendar Month. FULLY FURNSHED ROOM AVAILABLE NOW WITH ALL BILLS INCLUDED!! 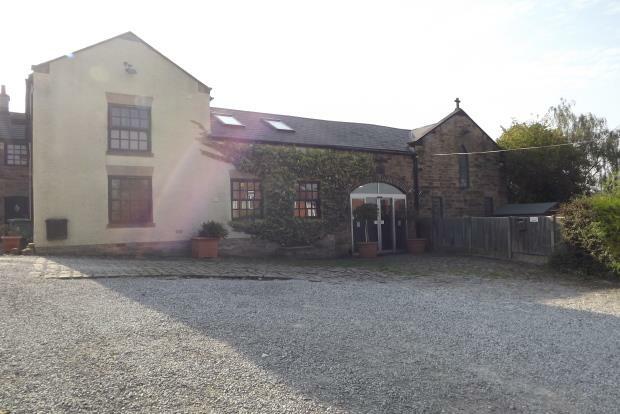 - Situated within a 10 minute drive from chesterfield town centre is this beautiful 17th century converted church that provides 1 bedroom self catering accommodation in Chesterfield. Hollingwood Hall is on the gateway to the Peak District and just minutes from all the major attractions and amenities. This One double bedroom lockable room is available to rent immediately with welcoming communal areas this property is appealing to all professionals. Here we are marketing One Lockable room being fully furnished, having a double bed with two drawers and wardrobe. These Rooms are FULLY INCLUSIVE of all bills! The communal lounge has a beautiful recently fitted Glass Roof flooding the communal areas with natural light, having seating areas where you can sit relax and socialise. You will also find a snooker table and gaming area with large industrial fridges and chest freezers for storage of food with a sofa and TV. Hollingwood hall has secured access in and out of the building with gated parking available. Having full use of all 4 Bathrooms with bath and showers throughout the accommodation with two Modern Kitchens being fully equipped with Washing Machines, Microwaves, Cooker and much more. Parking on site may available subject to availability at an additional cost of Â£25.00 per month.